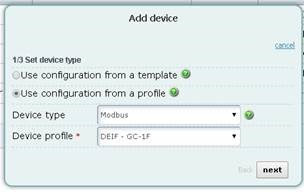 Sometimes you've built a great looking dashboard associated with a Modbus device template that you are now ready to role this out to other accounts, only to realise that you have to start the entire configuration from scratch when using another Argos account (well almost, you can probably reuse the device template you created at least). This is usually the case for a system integrator that did a proof of concept on their own account, but need to recreate the configuration in their customers' accounts. This obviously is a waste of time and there is a better way to go about it. We always suggest to our customers to work using a profile from the beginning (so get the M&A subscription upfront!). We show this in our training too. A profile combines templates, visualization, log and alarm parameters and even the customized dashboard (make sure you use profile dashboards). This profile is easily reused for multiple Netbiter systems in the same account, but it is also possible to reuse the profile in other accounts. The template, profile and dashboard with linked parameters should be imported now. The Dashboard will be located under All Dashboards->Profile Dashboards. 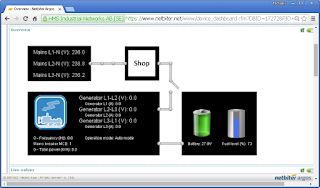 For more information on the eWON Netbiter Remote Monitoring solution visit www.netbiter.com or www.idx.co.za.